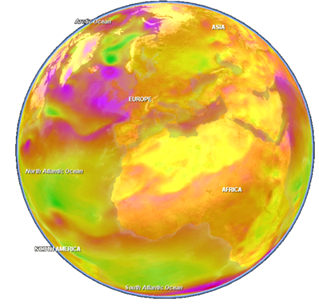 Climate Wikience provides a sample of variables from several climate reanalysis. Please, refer to the table below. Data are located at the nodes of regular latitude/longitude grid. 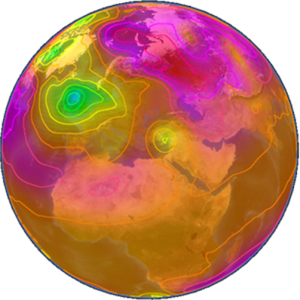 Temporal resolution is different for each climate reanalysis. Usually it is 6 hours, 3 hours or 1 hour. Kanamitsu, M. NCEP–DOE AMIP-II Reanalysis (R-2) / M. Kanamitsu, et al. // Bull. Amer. Meteor. Soc., № 83(11), 2002. – P. 1631 – 1643. Dee, D.P. The ERA-Interim reanalysis: configuration and performance of the data assimilation system / D.P. Dee, et al. // Quarterly Journal of the Royal Meteorological Society, № 137 (656), 2011. – P. 553 – 597. Rienecker, M. MERRA: NASA’s Modern-Era Retrospective Analysis for Research and Applications / M. Rienecker, et al. // J. Climate, № 24, 2011. – P. 3624 – 3648. Compo, G.P. and Coauthors, 2011: The Twentieth Century Reanalysis Project. Quarterly J. Roy. Met. Soc., 137, 1-28. Saha, S., et al. 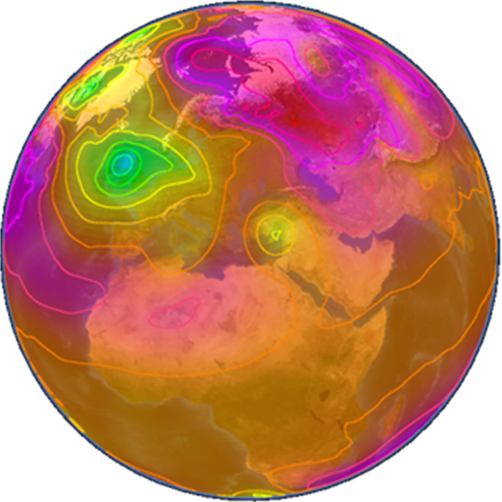 The NCEP Climate Forecast System Reanalysis. Bull. Amer. Meteorol. Soc., № 91, 2010. – P. 1015–1057.